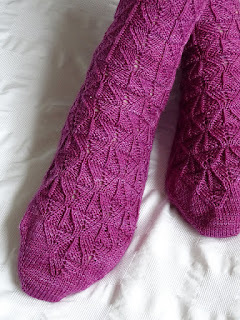 Dragonfly Designs: More exciting news! Hey guess what?! I now have an active Etsy shop! There's not much in it right now, but over the next few days and weeks, more will be added. I have some things, but I didn't have time to do everything today. Something is better than nothing, and if you don't just jump in where you are, sometimes you'll never jump at all. There are plenty of things for me to do, but I have to choose one. 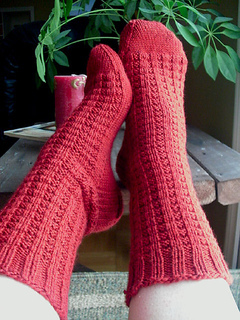 Oh, and I forgot to mention some other socks I found to make for Hubby (the ones I finished last night were his). So many choices...all I know is that I need pick up and knit something. Or crochet something. I think tonight may be finishing the cowl, as I have the 2 braids done, and just have to join them. Then I can cast on a new project tomorrow! Happy knitting (or crocheting! )!